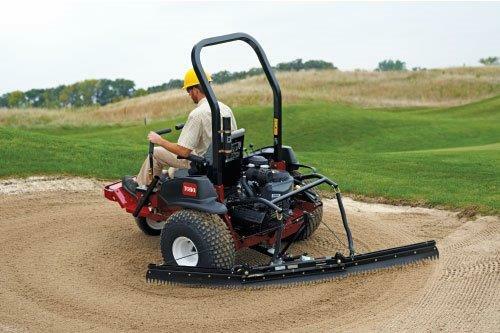 The Industry’s First Zero-Turn Mechanical Rake – The Sand Pro 2040Z is a zero-turn mechanical rake that is unlike anything else on the market. 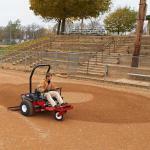 The zero-turn design allows it to turn on a dime, easily groom all sorts of bunkers – even those previously groomed by hand. Plus, the new “flex” tooth rake system has a patent-pending “lift in turn” feature that lifts the inside rake during a tight turn, leaving no unraked teardrops or tire marks behind. The unparalleled manoeuvrability combined with 19.3km/h transport speed makes the Sand Pro 2040Z the ultimate in productivity. Its 213 cm (84 inch) wide flex tooth rake features three reversible rubber trowels that won’t tear bunker liners or the turf on bunker edges. 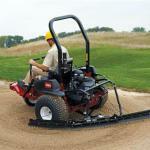 Each of the rake’s three sections moves independently to perfectly groom the bunker contours. 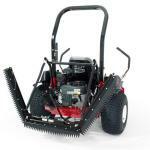 The Sand Pro 2040Z is equipped with a robust 9.1 kW Kawasaki® gas engine for excellent power. It also features a unitized transmission design that minimizes hydraulic lines and connections for reliable, low-maintenance performance. Optional accessories for the Sand Pro 2040Z include an LED light kit, a mesh storage bag for tools and trash or debris. 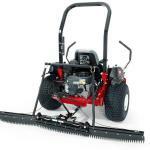 A seat suspension kit and Turf-Trac tires are also available. 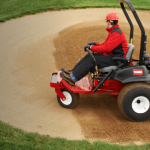 “The Sand Pro 2040Z is one of the finest machines ever produced by TORO and we are already experiencing high interest in it. 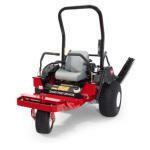 This is because it has proven to reduce the time and expense of bunker maintenance,” concludes Coetzee. 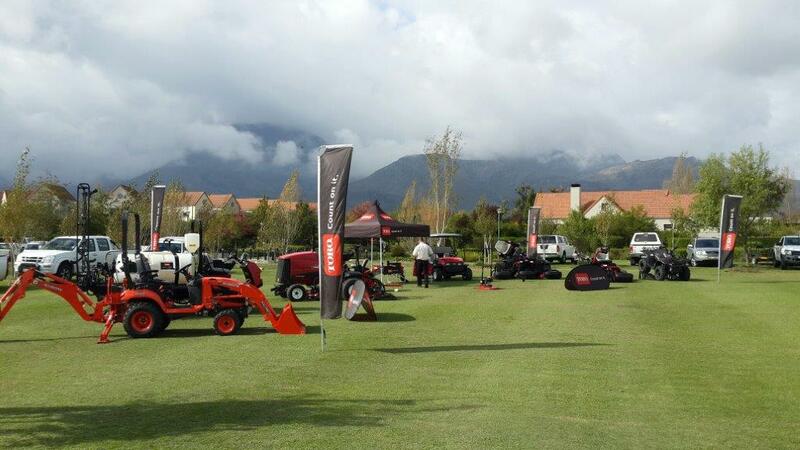 Contact Smith Power Equipment on 011 284 200 for more information.